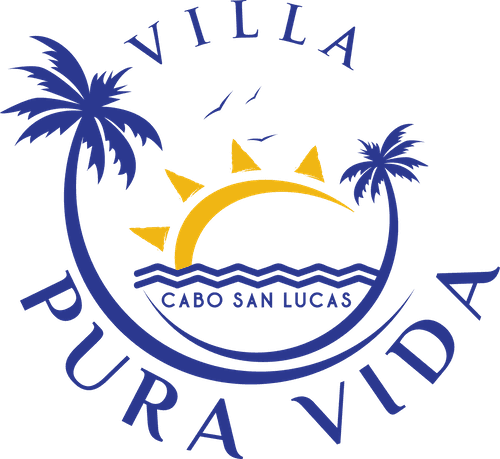 Villa Pura Vida is a private two-level Los Cabos villa located inside the gates of Villas Del Mar, an exclusive and luxurious gated neighborhood. Next to the 3-bedroom villa is a 1-bedroom detached casita. The villa also has lush gardens with views of the Sea of Cortez. The colonial Mexican architecture and classic decor create a romantic atmosphere throughout the residence. 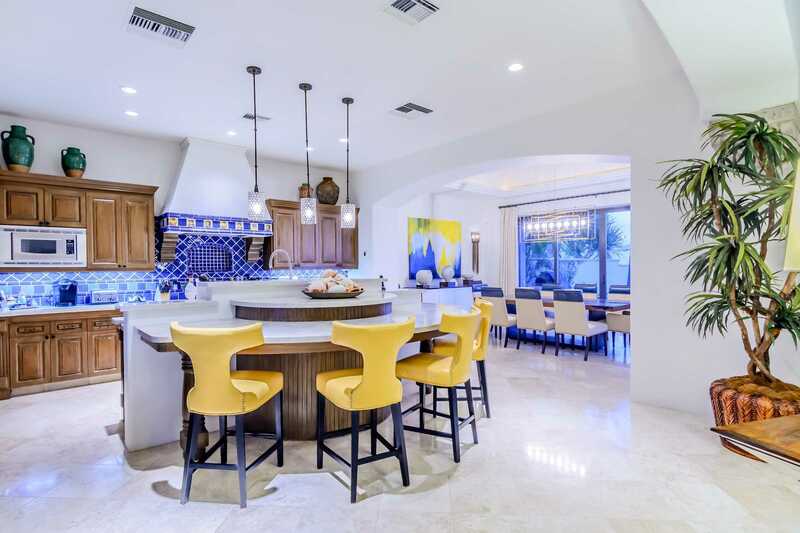 The villa includes features and amenities that you would expect to find in a luxury villa: travertine floors, chef’s kitchen. Villa Pura Vida is unique because in addition to the villa, there is a casita. The casita is a detached structure right next to the villa. The 4th guest suite called the casita suite is located here. It is your very own private getaway. 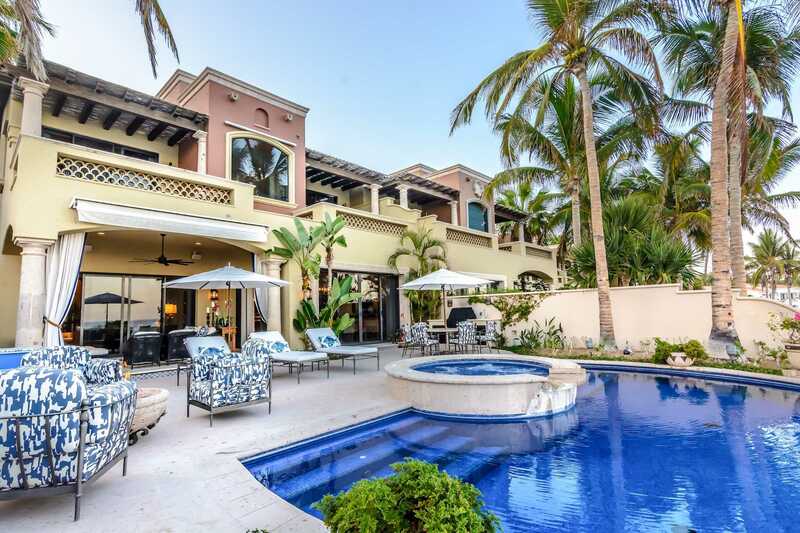 You will enter the Los Cabos villa rental into the family room, dining area, and the gourmet kitchen. Sliding glass doors open fully out from the family room onto the covered outdoor living area, pool terrace, and views of the Sea of Cortez. Wow, is this paradise? Cushioned chaise lounge chairs are the perfect way to get your tan and if you want a break from the sun, you can use the umbrellas. A gas BBQ grill, firepit, foosball table, and Sonos speakers are the perfect combination for fun. The views from the semi-circle infinity pool are the wow factor of Villa Pura Vida. The pool edge appears to merge with the Sea of Cortez below, creating endless ocean views. There is also a Jacuzzi perched above the pool. 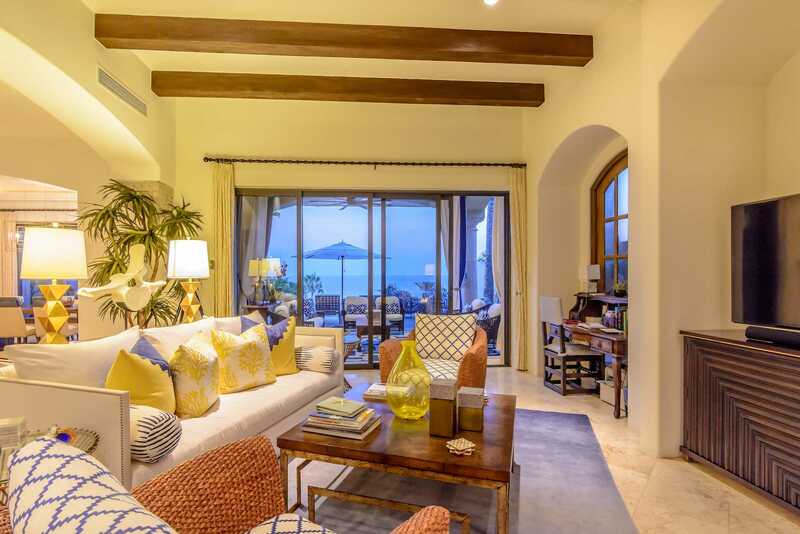 Villas del Mar is the only Los Cabos development where guests experience 5-star sophisticated luxury and private villa living. The gated community is home to many high profile guests looking for privacy. Allow Villas Del Mar to pamper you during your stay. 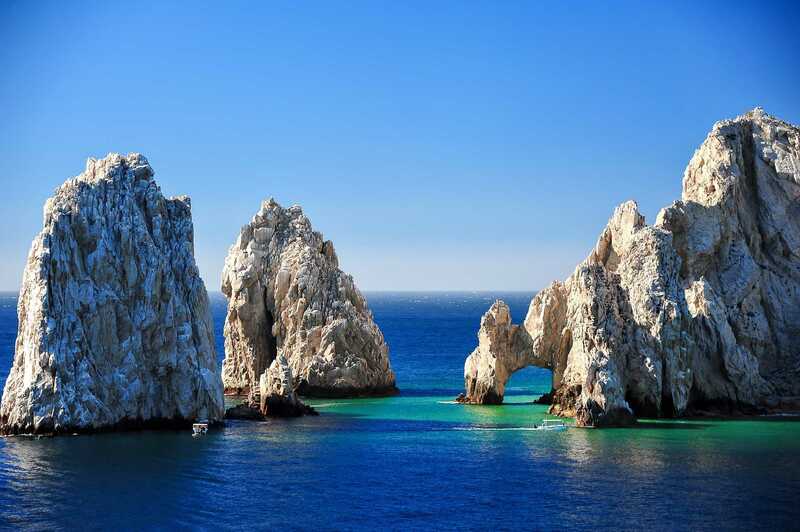 Los Cabos International Airport (SJD) is located in San José del Cabo, Los Cabos Municipality, Baja California Sur State, Mexico. 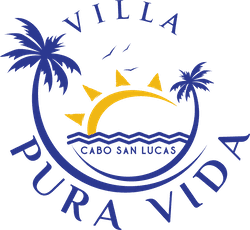 Villa Pura Vida is a quick 20 minute ride from the airport. There are tons of AA non-stop flights also. From the airport to the villa, we can arrange a private car service. It will run you around $250 round-trip. Once at the villa, please enjoy use of our 2 golf carts within the gates of Villas Del Mar and to the neighboring One&Only Hotel.